Home building is a constantly evolving business, and Warren Bros. continuously researches the trends and new developments in building technology to keep up on what’s hot. We travel to other regions of the country specifically to view new floor plan and interior trends, bringing back the most popular concepts to incorporate in our designs. When architects, builders and contractors assume the man of the house is the primary decision maker on a new home’s design, they are wrong 74% of the time. And what do women want in their homes? More storage space for one. More and bigger closets. More bathrooms. And better quality construction. Extra-large laundry rooms, a three-season porch, security systems and whirlpool-type bathtubs also top the list. Forget the sunken living rooms, unreachably high cabinets, and spiral staircases. Accessibility is a major trend in today’s home building. The goal is to blend aesthetics with universal comfort for people of all ages and abilities. Features such as wide hallways and no-step entry are being blended into designs to keep easy-access homes from feeling clinical. 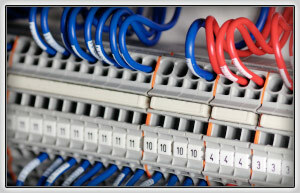 One of the first features homeowners are considering these days when designing a new home is the electronics network. Everything from security systems with video pickup, sound systems, music systems with surround sound, home theaters, integrated phone-cable-internet systems, cable and satellite TV options, high-speed data lines and more are now influencing layouts, rather than simply becoming add-ons to a floor plan. 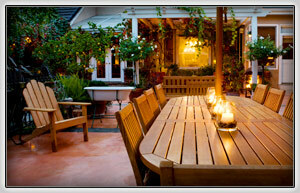 Builders throughout the country are incorporating outdoor living spaces into their overall home designs. 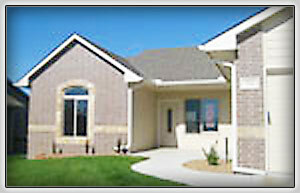 The yard and gardens become a part of the floor plan, and are including zones for cooking, conversation and relaxation.